A Mechanics’ Lien is an extraordinary remedy for contractors, subcontractors, and others related to the construction industry to resolve payment problems. If any of those aforementioned files a Mechanics’ Liens it will put a hold on selling or refinancing the property without first paying off the disputed debt. How much time I have to file Mechanic’s Lien? Contractors have 120 days to file for a Mechanics Lien after their work on the property is complete. The law in this area is clear on the number of days, its practical application has proven more difficult. Many legal disputes have arisen to resolve this question as to the day the project is complete. In fact, the vast majority of litigation over mechanic’s liens is about when the project is substantially complete, and thus the filing deadline 120 days thereafter. Often contractors may not file a lien against a property initially because they assume that the property owner will pay in full. Then by the time the contractor realizes that payment is not being made, or is being disputed, their 120 day filing period may have lapsed. Contractors who neglect to file a lien for the work may unfairly attempt to return to the property and perform work (such as removing equipment) in order to extend the lien’s filing date. Subcontractor and material man claimants have 90 days to file a lien. Mechanics liens expire unless you file a lawsuit to enforce your Lien within 90 days of when the lien was recorded. Just recording a lien does not get you paid, if you do not sue to collect on it. And if you allow the lien to expire after 90 days without suing on it, the Owner can file in Court a Petition to Release the Property from the Lien, and you may be liable for paying the owners attorney fees and costs if you do not record a release of your expired Mechanics Lien. Contents of 90 day notice. Does this Illinois require or provide for a notice from contractors and subcontractors to property owners? Yes. Illinois law provides for a series of notices between contractors, subcontractors, and any party who provides labor and/or materials. First, a contractor must provide the form language contained in advising the property owner of his rights and the possibility of a lien. If there is a contract, this notice must be included with the contract, if not, it must be supplied separately. Contractor/Customer Name. Must be correct and specify if a corporation, partnership, or proprietorship etc. Work. Must accurately describe work performed and type of materials supplied. Address and Type of Property. House, condominiums, industrial parks, shopping centers, townhouses, office buildings. Timeliness of Notices. 120 day if you are contractor and 90 if you are sub contractor or materials provider. Call us (773)-635-0099 to get answers on all your questions. 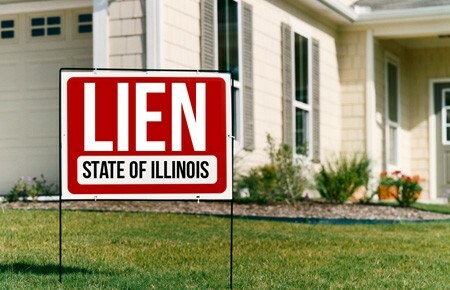 File a Lien in Illinois. Mechanics Lien against a clients property. In our current economy, even though things are turning around, many Illinois contractors and others in construction are finding that their clients are still not paying or are slow to pay. So, what are their options? In The State of Illinois, and in most other states there is a Mechanics Lien Law that allows you to file a lien against a clients property, that is available to contractors. Many don’t understand what a mechanics lien is or how they can file one or even sometimes the benefits of it. A mechanics lien is a means whereby, under the law a general contractor, subcontractor, or anyone, like a supplier or engineer that works with them can collect payment for the work they have completed. A lien can be filed and recorded against the client’s property. Thus becoming a lien against the property and securing the payment for services. Because you are encumbering someone’s property in a legal and binding fashion there are certain rules that must be followed to make sure that everyone is treated fairly. The lien must include the person claiming they have not been paid, the “claimant’s”, name; the owner of the property’s name; the name of any lenders that might also have a title claim to the property; the first date of contact for job; identifying information about the property, ie. Address, legal description, or parcel number; a specific list of all labor and materials provided; the amount on the contract, how much has been paid, and the last date any work was performed; lastly the amount that is being filed on the lien claim. A Mechanics Lien must be filed within four months after the last day worked. This day must be the day that the project was completed. This does not mean punch list items, but the actual contract work. The lien must be recorded in the county Record of Deeds office where the property is located. An additional step that is important to securing the lien is that the contractor must file a foreclosure lien within 2 years of the effective date, the date work was begun on the project. This begins the process for the property to be sold and the contractor to receive his money that is owed him. There are options to help you get the money that you are owed, but you must follow the rules and do your part in order to collect. Contractor’s Lien Advisors helps contractors, sub-contractors, and material suppliers file Mechanic’s Lien. We assist contractors from whole Illinois State. The Importance of The Illinois Mechanics Lien Act. Many times a homeowner will want to make changes to their property. For one reason or another they will choose to hire a professional rather than to do the work themselves. The is usually a good choice, however, doing business with an individual is not like doing business with a company. With an company you can check to see if there are complaints against them or if they do poor work. How do you know that you or your suppliers aren’t going to get taken advantage of by a homeowner? That’s where the importance of the Illinois Mechanics Lien Act comes in. If you find yourself involved in private construction work you need to understand what a mechanics lien is and how it will help you get paid if the need arises for you to file a lien. 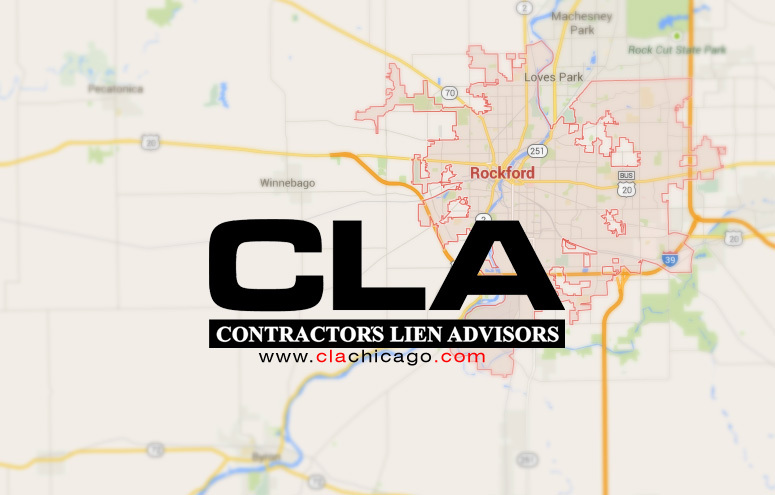 Contractor’s Lien Advisors are experts on liens in the Rockford, IL area. We can help you understand what a lien is and how to file a lien that will protect your interests, whether you are a contractor, subcontractor or supplied the materials. If you have a completed work for a property owner and they fail to pay you according to the agreement then you have cause to file a lien. When you file a mechanics lien properly it puts a lien on the property. A lien says that in the event the property is sold, you must be paid before the property owner. However, if the amount is large then the homeowner may be forced to sell the property to pay this debt. This type of lien can be filed anytime a property owner fails to pay for services that you have completed for them. However, because it is a legal proceeding, they have made it so that there are requirements that must be completely followed in order for your lien to be legal and enforceable. Also, the requirements are different depending on whether you are the contractor, a subcontractor, or a supplier. Education can go a long way to protecting yourself and your business. Make sure that you contact the professionals when you need the help. Using their expertise can strengthen, and perhaps even save your business. A mechanics lien is a protective agent that aids in collecting money due for services or material rendered on construction projects for private properties. The Illinois Mechanics Lien Law allows general contractors and sub-contractors to issue a lien on the improved property where they provided labor or materials when the balance for services or materials was not paid. The property may then be sold to pay the amount due. If all requirements are met the contractor of the Mechanics Lien can collect the lien amount, professional fees, costs, and attorney fees. The contractor and Mechanics lien may force the property into foreclosure in order to collect all the money due. A general contractor, stated by the Illinois Lien Law, is the party that has a contract with the property owner. The liens are filed with the Recorder of Deeds in the same county as property. For example in Chicago, a Mechanics Lien must be filed as a Chicago Mechanics Lien. They would file a Mechanics Lien within four months of the last day that labor or materials were supplied. A suit must be filed within two years of the same last day. If the lien is not filed the general contractors lien will be placed at the bottom of other claims on the property. A sub-contractor, in the Illinois Mechanics Lien Act, is a party that has a contract with the general contractor and not with the property owner. In order to collect on a lien, the sub-contractor must give notice to the owner within 60 days of intent to file the claim if the property is a single family and occupied. For other types of properties the notice should be given within 90 days. If the intent is not provided on time, a sworn statement of the amount due from the general contractor will be needed in order to continue with the lien. Notice of intent can be given after 10 days of no payment. The sub-contractor has four months to file a lien after the last day that labor or materials were supplied to the property. Sub-contractors should file with the Record of Deeds in the country where the property sits. A suit must be filed within two years. or a Lien in any city in Illinois. Since few years Contractor’s Lien Advisors helps recover money for General Contractors, Sub-contractors, and Material Suppliers. Mechanic’s Lien allows to issue a lien on the improved property where they provided labor or materials when the balance for services or materials was not paid. Many people think that if they do not have a written contract, they do not have a change to recover their money, but this is not true! Oral contract is also accepted. Mechanic’s Lien is the most powerful document in law that you can use to get back your charge. A contractor must record the claim for the lien in the county where the property is located. Whoever performs engineering or land surveying services with respect to real estate, or contributes to the improvement of real estate by performing of real estate by performing labor, or furnishing skill, material or machinery. Please contact our Chicago Mechanic’s Lien Office at (773)635-0099 to schedule an appointment or to find more about our services. The Illinois Mechanics Lien Act allows general contractors and sub-contractors to issue a lien on the improved property where they provided labor or materials when the balance for services or materials was not paid. The property may then be sold to pay the amount due. If all requirements are met the contractor of the Mechanics Lien can collect the lien amount, professional fees, costs, and attorney fees. The contractor and Mechanics lien may force the property into foreclosure in order to collect all the money due. 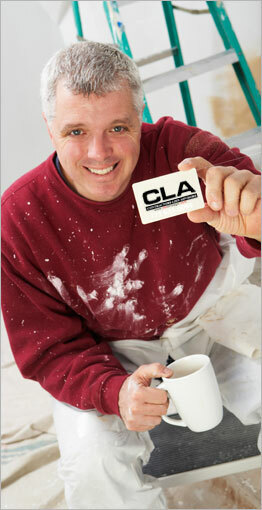 A general contractor, stated by the Mechanic’s Lien Act, is the party that has a contract with the property owner. The liens are filed with the Recorder of Deeds in the same county as property. For example in Chicago, a Mechanics Lien must be filed as a Chicago Mechanics Lien. They would file a Chicago Mechanics Lien within four months of the last day that labor or materials were supplied. A suit must be filed within two years of the same last day. If the lien is not filed the general contractors lien will be placed at the bottom of other claims on the property. 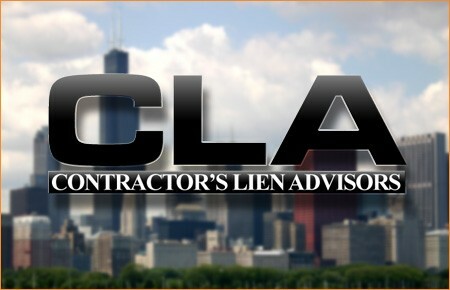 If you are in Illinois CLA Contractor’s Lien Advisors can help you file a Chicago Mechanics Lien or a Lien in any city in Illinois. All participants in private construction projects should have at a basic understanding of the mechanics lien process. 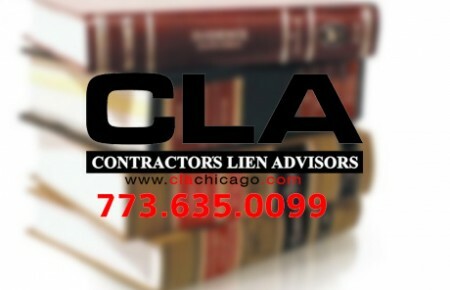 Contractor’s Lien Advisors – We are experts on Chicago Mechanics Lien. The Illinois Mechanics Lien Act is beneficial to contractors and those that supply materials for private construction or improvement projects. This mechanics lien act allows the contractor or supplier of materials to have a mechanics lien placed on the property that was worked on and eventually have the balance due under the lien claim ultimately paid by eventually selling the property. The Illinois Mechanics Lien Act holds the property owner to deal with a balance due to a material supplier or contractor even when said owner did not contract directly with either of these parties. 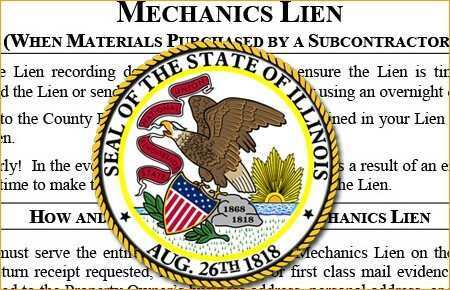 Under the Illinois Mechanic Lien Act it is very clearly specified when liens can be used, and, because a lien carries much legal power, the lien must have exact compliance with the requirements of the Act. A general contractor must record its claim for lien in the county of the property’s location within four months of the last day of provision of materials or labor the property. Also, the general contractor must file suit within two years of the last day of supply or labor provision for the property. The contractor has four months to record its claim and if they fail to do so, it may have the lien claim enforced against the property owner. But in this event the claim is not held with priority over the claims of other parties with interest in the property, such as lenders. The Mechanics Lien Act places more burden on parties such as subcontractors and materials suppliers to work on their lien claim because these parties are not directly in contract with the property owner. For these parties, there is the obligation to serve the owner as well as the owner’s lender with a 60-day notice of intent to lien the property if the property is occupied by a single family owner. All other types of property carry a 90-day notice requirement. All participants in private construction projects should have at a basic understanding of the mechanics lien process. We are experts on Chicago Mechanics Lien. File Chicago Mechanics Lien with out preparation and recordation. Contractors Lien Advisors provides all services for mechanics lien including property search, preliminary notices, title search, mechanics lien release, mechanics lien waivers (both partial and full), notary public, and translations. 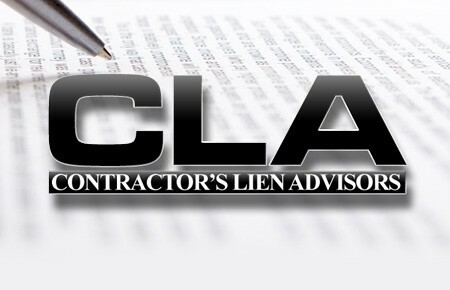 Contractor’s Lien Advisors. We service 50 states and will be glad to answer all questions. Contractors that need to file a lien and receive due payment should consult our expertise on Chicago Mechanics Lien. 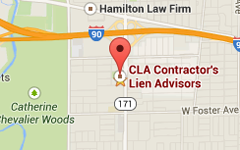 If you are living in Chciago area, file Mechanics Lien with our assistance and services. If Your have any questions about Mechanics’s Lien please call us or come to our office. 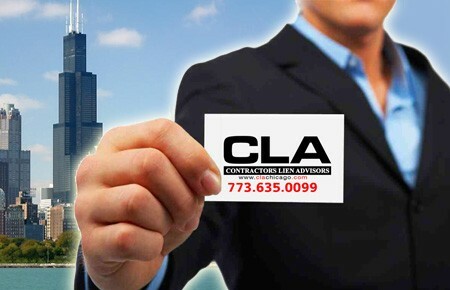 Chicago Mechanics Lien Advisors are here to help you establish your lien rights so that you can get paid for the construction projects you do. A Mechanics’ Lien is an extraordinary remedy for contractors, subcontractors, and others related to the construction industry to resolve payment problems. 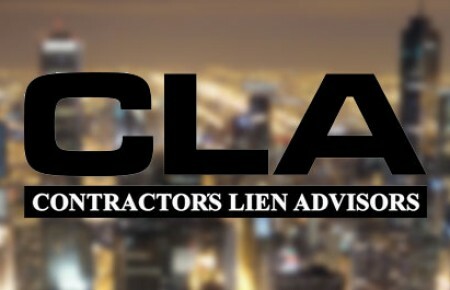 The mechanics lien claim is a legal term that describes a method for a contractor who did work on a project to ultimately receive payment when the project owner is not forthcoming. When people who work on a construction project under a contract that requires payment for services and materials rendered does not receive payment after a reasonable amount of time, they can file a mechanic’s lien. Of course, a contractor who has a contractual relationship with an owner can sue the owner for non-payment, and put a lien on the property. Neither action is constrained by the worth of the property. If the unpaid work and recovery costs add up to more, the contractor can get a judgment against the owner of the property and they can also collect against any assets held by the owner. If the lien is not satisfied, there are certain remedies that can be exercised. Always check with Illinois state’s lien law before filing. Usually, filing a Chicago Mechanics Lien is easy, but the timing to file a mechanics lien is essential. The second and third tier of subcontractors and suppliers can file Chicago Mechanics Lien Claims or a direct cause of action against the contractor after certain legal requirements have been met. The lien claims will attach to the accrued value of the property to pay for services of subcontractors whose work increased the value of the property. Generally, a Sworn Statement of Mechanic’s Lien must be provided to file a mechanics lien in the Chicago Office of the Recorder within 60 days of the last work or delivery. As with this and any other provision, it is best to check with the legal authorities to ascertain the correctness of the intended action. Filing a Mechanic’s Lien in Chicago is an effective way of securing payment when all else fails.